I am incredibly excited to have been accepted as 1 out of 12, and the only Australian representative, to attend the 500 Communities program! This is a unique opportunity that will allow me to access the breadth of knowledge and experience of people who have contributed to dozens of community residential projects successfully being built, predominantly in USA. I know the experience will help me increase my impact, and help increase the number of such communities becoming a reality here in Australia. It is an considerable investment though and I need your help to get there. 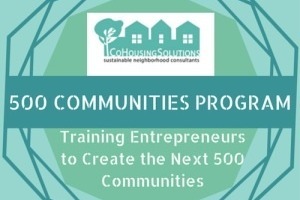 The 500 Communities training program is facilitated by expert cohousing consultant Katie McCamant from CoHousing Solutions (USA). Acceptance into the program is a great recognition of my work & will provide a unique opportunity for me to connect with & learn from those that lead the way around the world in cohousing. The Program is for passionate entrepreneurs like me who want to devote themselves to the goal of building the next 500 cohousing communities, in the United States (let's aim for the next 50 cohousing communities in Australia!) while working collaboratively, supporting each other and making a living. The program is facilitated by Katie McCamant, president from CoHousing Solutions. Over the last three decades, Katie McCamant has consulted on, designed or developed dozens of cohousing communities. Having worked with small and large, urban and rural, developer driven and group developed communities, she learned the keys to building strong, environmentally and financially sustainable communities. Through this Program, Katie is formalizing what she’s been doing for years informally: training other collaborators to grow the ability and meet the expanding needs for professional support in creating new residential communities. It is a 12-month program that starts with a 3-day intensive in Nevada City, USA. The remainder is on-line. The program costs are $9,750 US, exclusive of travel costs. I am incredibly grateful to have been offered a part scholarship (25%) by Cohousing Solutions to help cover the program costs; I need it! In addition, the Board of Co-operation Housing, Perth, have contributed $2,500 from their training budget. I still need funding for the rest of the cost of the program as well as my travel expenses which adds up to around $10,000. If you can help, big or small, I would be immensely grateful. What you can get I would like to offer you an invitation to a night sharing my American experience, what I saw, what I've learnt and how I plan to bring this back to make a difference here. Imagine… a world where cohousing becomes the new normal. Imagine every town of more than 50,000 people has at least one senior cohousing community and one intergenerational community. Imagine 50 communities created in the next five to ten years in Australia alone. If this is to become a reality, many people with many talents must become involved in creating communities. Thank you so much for helping me participate in the 500 Communities Program. Did you know I raised around 70% of the program fees? 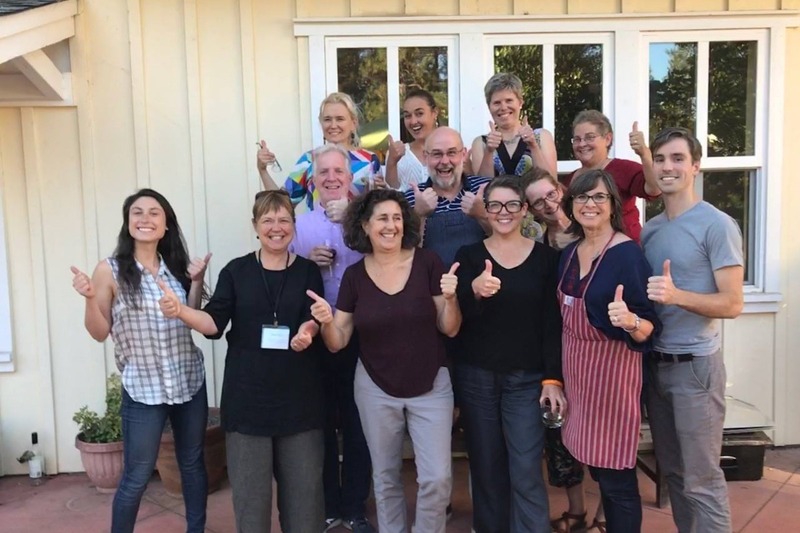 I can honestly say it is a fantastic program; I am tapping into 30+ years of knowledge and experience building cohousing communities and bringing that back to Australia. The coming months we'll delve into more details, with webinars, Masterminds and one-on-one mentoring. Well, my plane tickets have been booked! I'll be leaving on the 11th of September, back on the 22nd. I will be cramming a lot into those two weeks. Of course there is the intensive 3-day training program itself which looks amazing. I am also hoping to meet up with a group based in San Francisco who are working on a co-operative housing model. 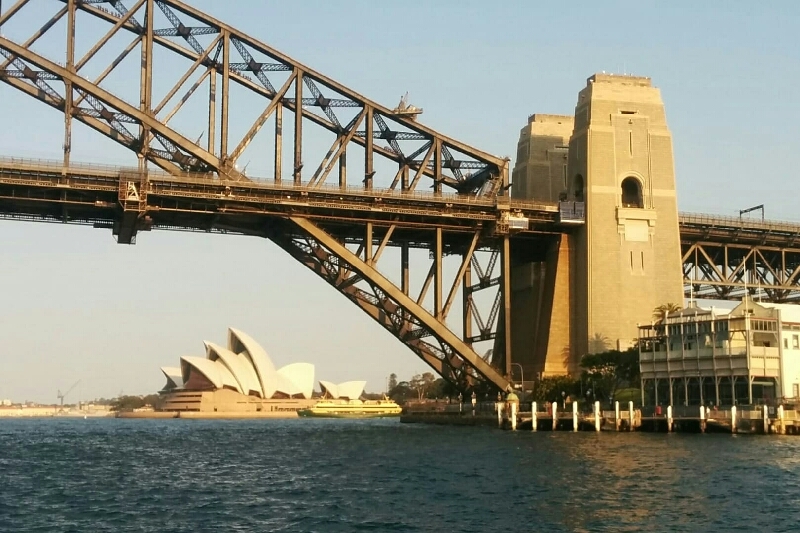 Plus I'll stop over in Sydney and Melbourne for meetings with my friends and colleagues there. There will be a lot of housing co-op and cohousing conversations!